Raja Ravi Varma’s Influence: Raja Ravi Varmahas influencedand inspired generations of artists from different streams in India. He was the first artist to cast the Indian Gods and mythological characters in natural earthy surroundings using an European realism; a depiction adopted not only by the Indian “calendar-art” spawning ubiquitous images of Gods and Goddesses, but also by literature and later by the Indian film industry affecting their dress and form even today. 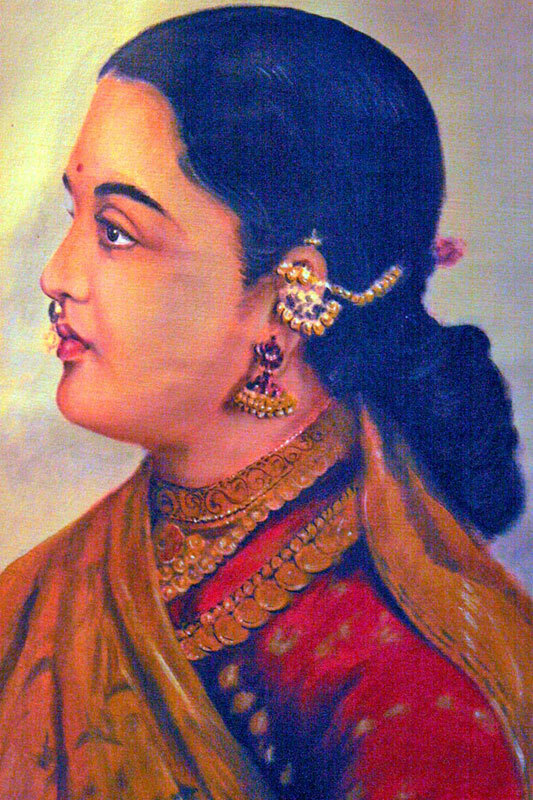 Raja Ravi Varma influenced some of the Mysore Artists to some extent. 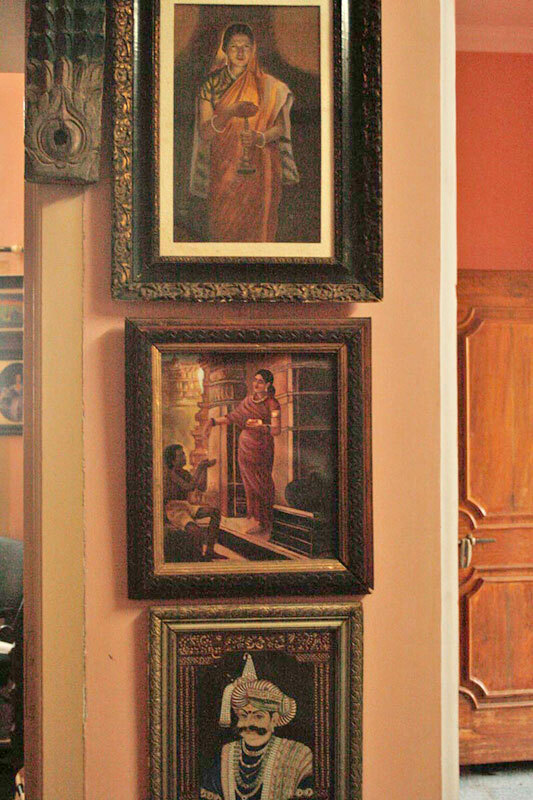 The artists tried to bring the raja Ravi Verma style realism in the Mysore paintings. They have tried to reproduce Ravi Varma’s painting in Mysore style. 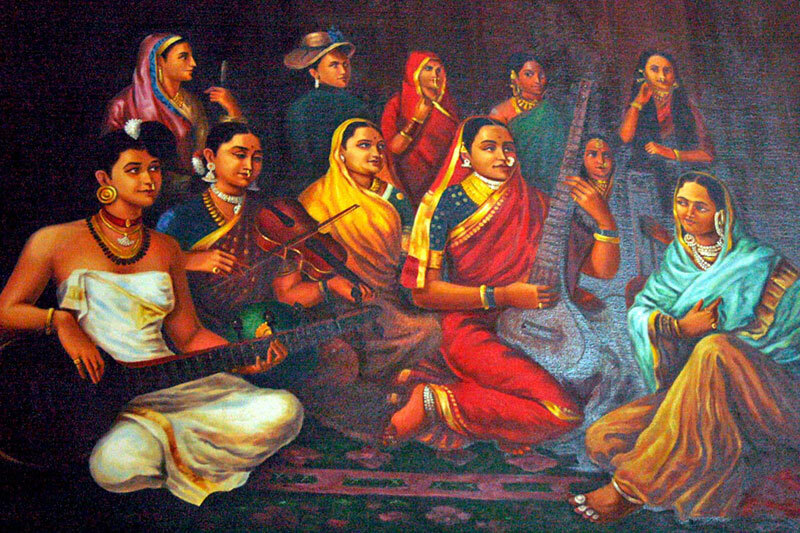 Other Cultural Influences: During the end part of 19th and in the beginning part of 20th century the introduction of the Graeco-Roman model of European art brought about a change in public attitudes and tastes, which caused some traditional Mysore painters to undertake a complete change in the form and technique of their paintings. The figurative style became more realistic under the European influence, developing a three-dimensional representation of subject matter based upon the principles of perspective, anatomy and proportion. This caused consternation among some groups who felt that the very essence of the Mysore tradition– formal and icon-like figures of gods and goddesses that could be worshipped – was lost. However, others argued that the introduction of realistic techniques could actually serve to enhance the devotional aspect of the traditional Mysore style, as the deities would be brought to life through the new techniques and thus the paintings would have greater impact upon the viewer. Indo- European Style Architecture: European pediments. European Elements: Indian Gods and Goddesses sitting on French chair, European treatment of Clouds and Landscape, clock, candles, Angles, Chandelier. This is brought up because of Tipu Sultan’s relation with French. Recurring Themes in several paintings: The typical way Mysore Saree is drapped, attitude on the faces of figures just like Mysore Maharanis, throne with seven steps, entire Mysore tradition and culture. The Mysore style inherited details like absence of Naturalism, lines and dignity of contours, color and drapery dispositions only for formal and ornamental purposes but it retained the DHAVALA details (Jain Scripture “Kalpasutra”) like the sculpture models for drawing figure, the linear draughtsmanship, heavy and angular features, postural expressions and the emphasis on contour lines. Delineation of forms, figures, postures, expressions, Colors to highlight contours and competent and creative, folk elements in classical depictions.